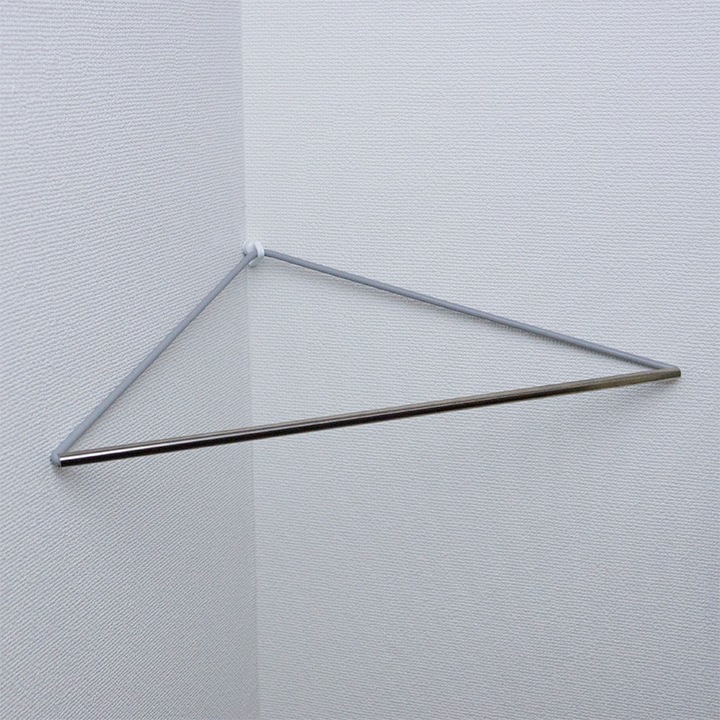 A hanging bar you can use at the corners of the room. 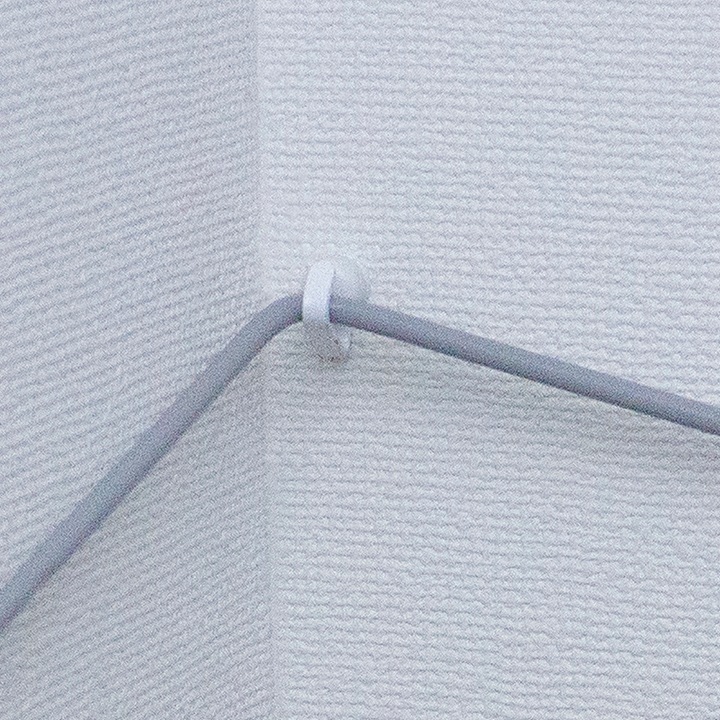 Just by using L-shape eyebolt, you can attach this to the internal corner. The cord is made of silicon rubber. 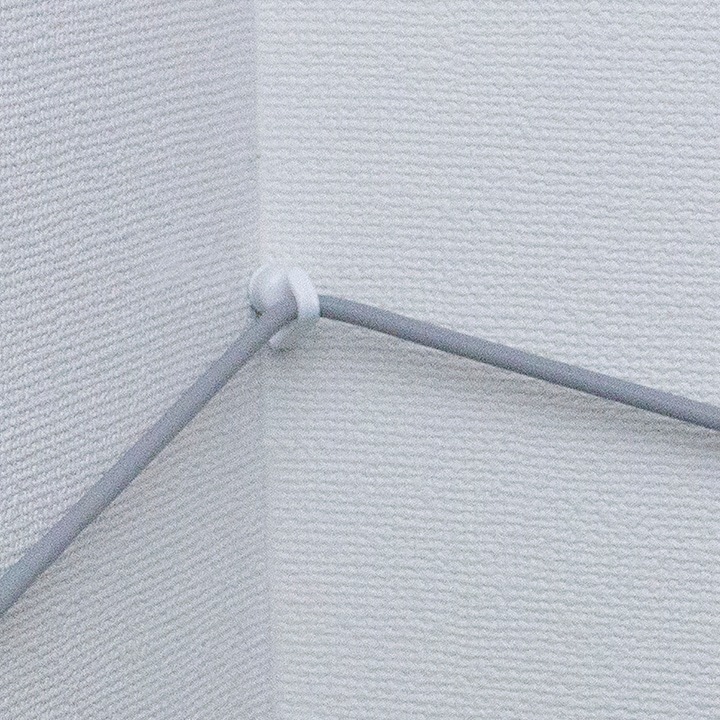 The tension of the cord works as the gripping force against the walls. 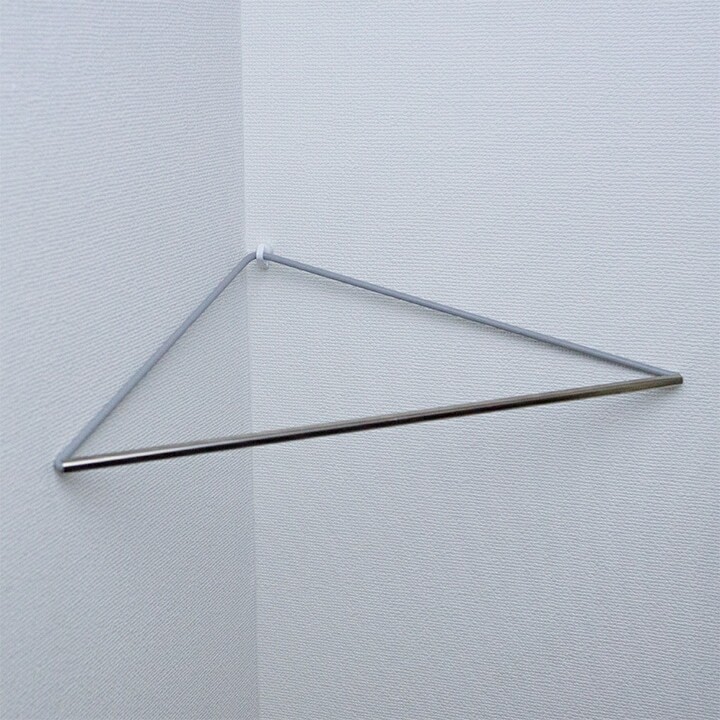 You can use this as an umbrella holder , towel hanger , and so on.